The Dementia Program Guide for Winter/Spring is now available! 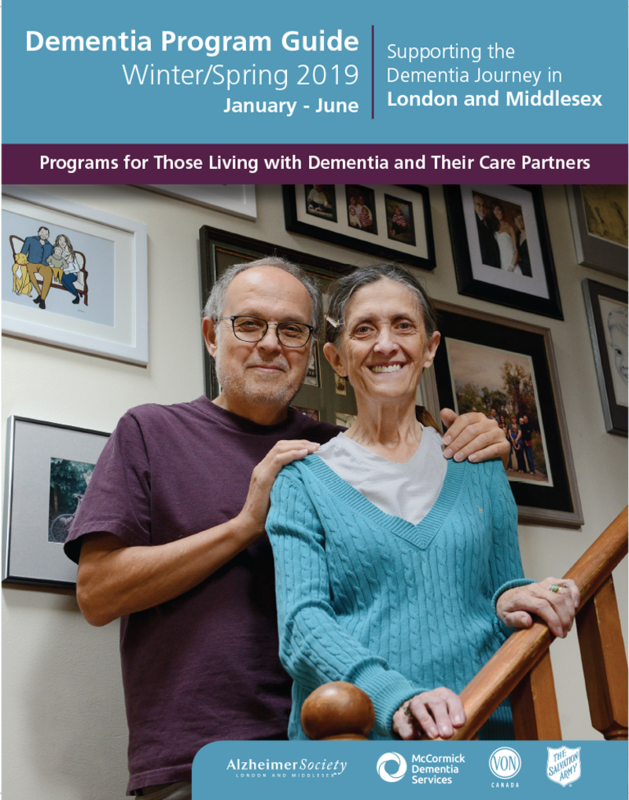 The new edition features a notes section, several new programs and support groups, as well as all the other important dementia program information from the Alzheimer Society London and Middlesex, McCormick Dementia Services, the Salvation Army and the VON Alzheimer Community Support Program. Hard copies of the guide are available at each organization’s office and select locations throughout London and Middlesex.